GeoConnected: Houston, We Had A Problem. 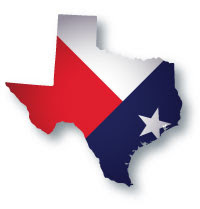 It seems an installation contractor out of Houston, TX found himself in the middle of a dispute between two of the industry’s Texas sized heat pump manufacturers. The freeware loop design software offered from each of the manufacturers were in disagreement leaving our installation contractor guessing who was right. We were contacted to rerun the analysis in LoopLink using both manufacturers’ equipment to provide an impartial answer to the question of how much loop the project required. The duplicate project function made this comparison quick and easy to create. We set up the base project with the correct loads and then duplicated it and changed out only the equipment… LoopLink automatically recalculated the lengths and we had an honest, impartial set of reports to hand over to the installation contractor. We are writing about this situation because it highlights some of LoopLink’s core strengths. LoopLink is a fast, easy to use tool for head to head comparisons. More importantly, LoopLink is designed and built by a company whose only interest in a design is making sure the numbers are correct. LoopLink and GeoConnections are trusted by our customers to perform this type of analysis because through the years we have proven our commitment to the science of heat transfer and the ethical imperative of engineers to provide the most correct answer they are able. Didn't Know You Could Duplicate A Project? If you didn't know about the duplicate project function in LoopLink, it is well worth checking out. It is a great way of quickly generating head-to-head equipment comparisons like we had to do here. From your Project List, click the duplicate project button on the left of any project in your list. LoopLink will create an exact match of the project and automatically open the Project Details page for the duplicate. Change the name and anything else you need to for the comparison. The duplicate and original are completely independent so you don't have to worry about losing information from your original.